Two Airbus H145Ms will be delivered to the Serbian Ministry of Interior this December as part of an order for nine such aircraft, earmarked for the country’s Air Force and for the Ministry of Interior. Four of Serbia's Air Force aircraft will be equipped with Airbus' HForce weapon management system. The Serbian Minister of Defence, Aleksandar Vulin, visited the Airbus Helicopters Donauwörth facility to accept the first H145M for the Serbian Air Force. “We assess the implementation of the contract as an example of successful cooperation and positive business practice,” said Vulin. Wolfgang Schoder, CEO of Airbus Helicopters Germany, noted negotiations for this order of nine H145s began in 2016, adding, “We see a lot more opportunities for the H145M in Europe and beyond.” The H145M is a light twin-engine helicopter that was first delivered in 2015 to the German Armed Forces and has since been ordered by Hungary, Thailand and Luxemburg. Airbus explains mission readiness of H145Ms already in service is above 95 per cent. Airbus Helicopters foresees the contract will also generate revenue from transfer of technology, spare parts, tools and documentation for the helicopters’ maintenance and repair. 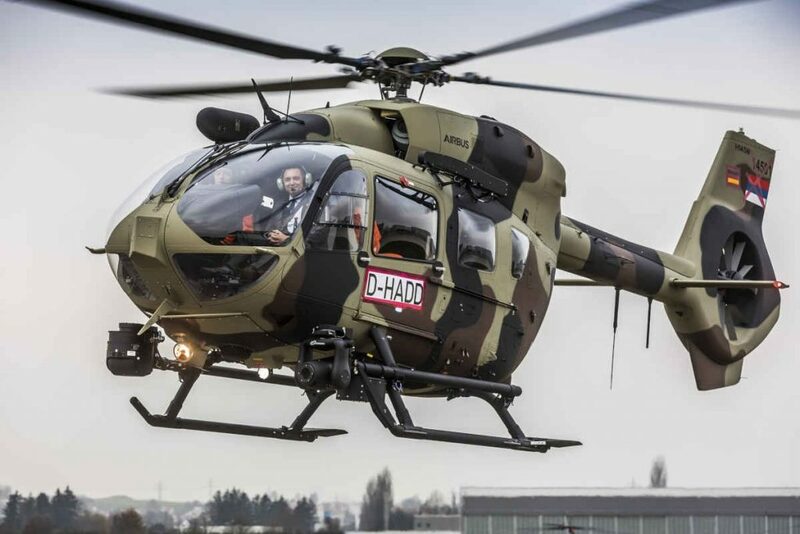 Airbus Helicopters will also certify Serbia’s Moma Stanojlovic aeronautical plant as a centre for the maintenance of Gazelle helicopters and will include it in its overhaul network. Airbus will also support Serbian manufacturing plants and research and development institutions to obtain relevant qualifications and certificates to become a supplier. The Serbian H145s will be equipped with a fast-roping system, high-performance camera, fire support equipment, ballistic protection and an electronic countermeasures system. The HForce system will allow Serbia to equip and operate its aircraft with a large set of ballistic or guided air-to-ground and air-to-air weapons. With a maximum take-off weight of 3.7 tonnes, the H145M can be used for a range of tasks, including troop transport, utility, surveillance, air rescue, armed reconnaissance and medical evacuation. Powered by two Safran Arriel 2E engines, the H145M is equipped with full authority digital engine control (FADEC), Helionix avionics suite, 4-axis autopilot, and what Airbus describes as a low acoustic footprint that makes the H145M the quietest helicopter in its class.